The Evolution Table Lamp speaks a language that has developed over long spans of time but the geometric Indian motif hammered into the aluminum base is so striking in its modern feel that makes clear it has evolved fully into a contemporary design element. 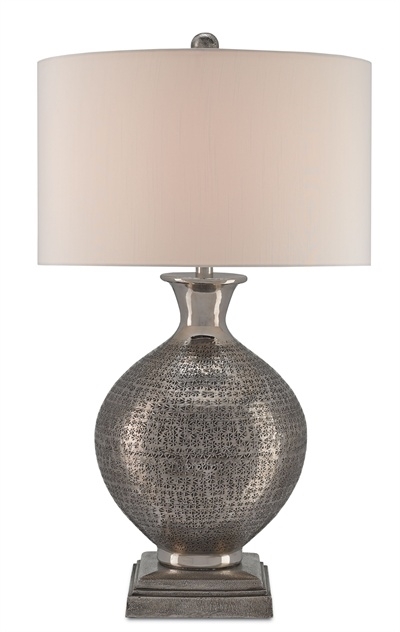 Painstakingly handcrafted, the textural body and base have been treated to an antique nickel finish. The lamp's urn-like profile is complemented by an off-white shantung shade.